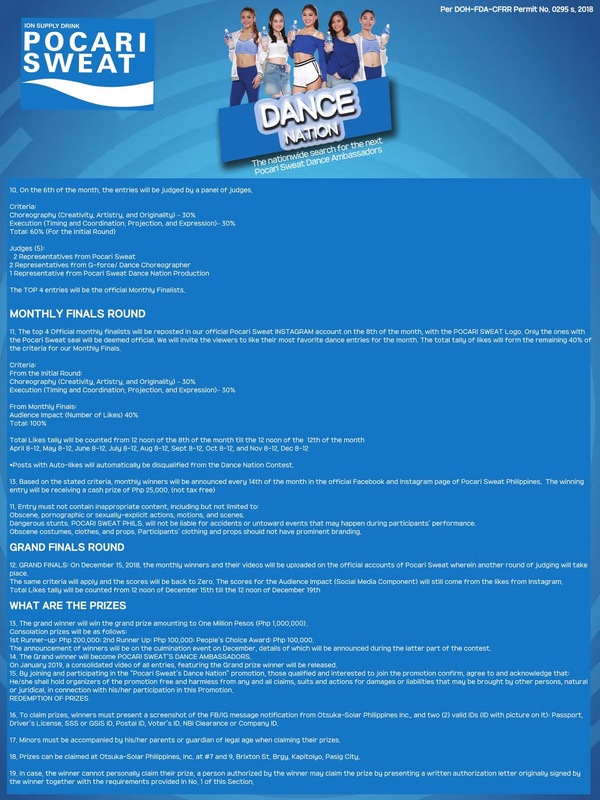 Pocari Sweat recently launched its online DANCE NATION contest. 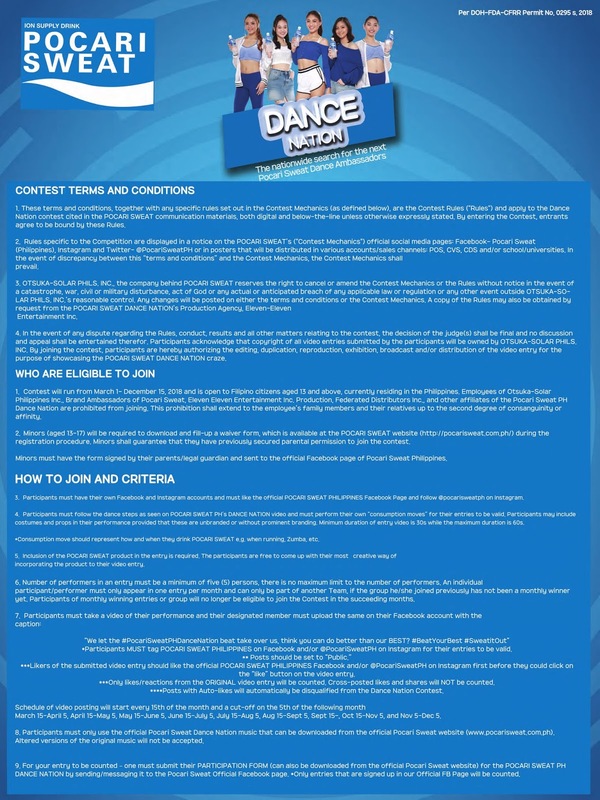 The contest is open to Filipino citizens aged 13 and above, currently residing in the Philippines. To join, participating groups must have at least five (5) members.